At Zygology we offer far more than simple product supply, providing our customers with a comprehensive range of services designed to achieve maximum performance from our wide range of fastening and assembly solutions. We can help you decide on the most cost-effective, suitable solution for your particular application. We can provide appropriate samples, help you to assemble prototypes and even set up and monitor line trials. 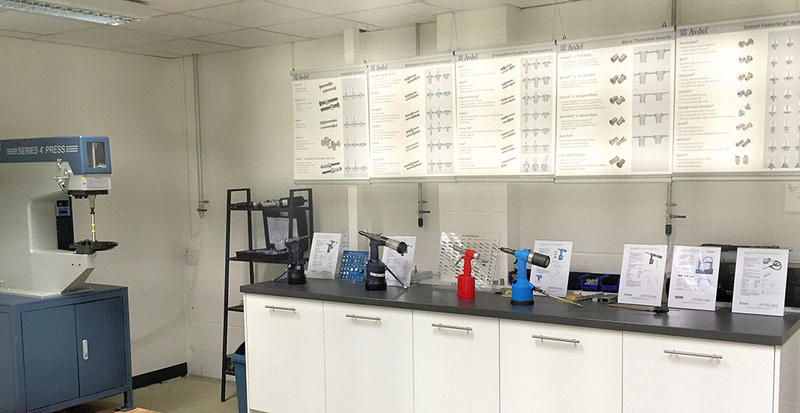 Our well equipped demonstration room is always available to help customer to research and test the various tools and fasteners in our range. you can bring your own materials if you wish and walk away with a fully assembled sample. We can help you analyse the performance of your current production line and your existing products and then suggest ways of improving the overall assembly process to enhance performance and reduce costs. We can help you to locate a specific fastener or, if this is no longer in production, we can source and suggest a practical alternative.